Geri graduated from the Lauterstein-Conway Massage School in Austin, Texas in 2007 from their 550- hour program and has an additional 700 hours of continuing education, which includes the 300-hour certification program of oncology massage training at the Peregrine Institute of Oncology Massage, Training in Santa Fe, New Mexico. She is currently one of the few certified oncology massage therapists in Texas. 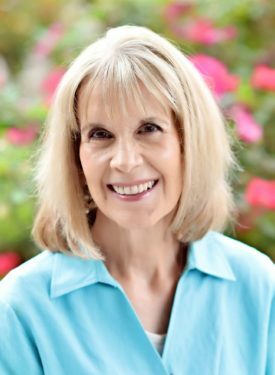 Geri is a certified lymphedema therapist through Klose Training and Consultants, LLC with trainings in complete decongestive therapy and manual lymph drainage (Vodder technique). Traveling to California, Geri furthered her education with infusion center and pediatric oncology massage training through the Institute of Integrative Oncology. Her training has also included nearly 100 hours of hospital massage training with extensive training from hospitals in Oregon and Virginia. She has worked with patients, caregivers and medical staff in various settings. Additional trainings include: M.D. Anderson’s annual oncology massage conference in Houston, Texas; Tracy Walton’s intensive 4-day oncology massage workshop in Austin, Texas; palliative/hospital massage training at the Hertzberg Palliative Care Institute at the Mt. Sinai School of Medicine in New York City, New York; geriatric massage training from Day-Break Certified Geriatric Massage Institute; Compassionate Touch, Elder-Care and Hospice through Ann Caitlin; and Massage for Special Needs from Lauterstein-Conway Massage School. Professional memberships include the Society for Oncology Massage and the American Massage Therapy Association. Geri has given talks to community support groups as well as written articles regarding the efficacy of oncology massage therapy. She was recently featured in Health Monitor’s Chemotherapy Guide. Prior to her massage career, Geri was an educator/instructional technology trainer for twenty-five years and has been a freelance writer since 1998.